The small town of Athens comes to life around the holidays and now’s the time to get out and enjoy it. 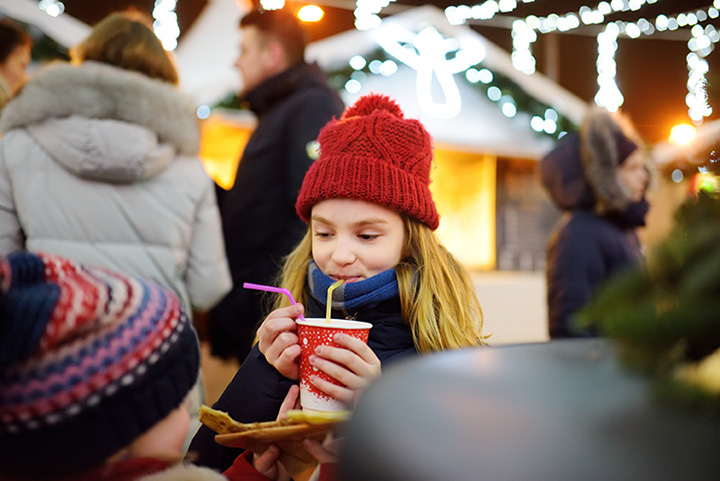 Whether you’re interested in celebrating Hanukah at a nice restaurant or you want to bring your family to a sparkling parade of holiday lights, there’s plenty in store for everyone. Here’s what’s going on in Athens this week! The Foundry’s highly-anticipated monthly series features local creatives just waiting to be discovered. Literally Athens’ best-kept secret, this monthly event highlights multiple singer/songwriters, as well as interactive discussions with each of the performers to forge a personal connection with the audience that traditional concerts just don’t offer. It’s the best way to experience the raw talent that Athens is well known for. The event will be held on Dec. 5. General admission is just $5, or you can reserve a table for $20. The National restaurant is a beloved icon in Athens’ cuisine scene, but their annual Hanukah dinner gives you all the more reason to visit. Their Hanukah pre-fixe menu will feature three kosher-approved courses, crafted by legendary local chefs Hugh Acheson and Peter Dale. Reserve your spot for Dec. 5 or 6 by calling The National at 706-549-3450 or email them at reservations@thenationalrestaurant.com. Athens’ annual Christmas parade is a family-favorite holiday tradition that will take place this Thursday, Dec. 6. This year, parade entries will be based on the “Christmas Around the World” theme, taking parade goers on a magical journey of holiday celebrations from various countries. The parade will make its way from the corner of Pulaski and Hancock down Clayton, while briefly touring Thomas before cutting over to Washington and ending at the corner of College and Hancock. Road closures will begin at 2 p.m., and the parade will start at 7 p.m.
For the next two weekends, the “Deck the Hollow” light show will dazzle the eyes of all ages. Located at the Bear Hollow Zoo, this is Athens’ biggest holiday light display. Visitors can enjoy live music and animal encounters at the zoo, along with photo ops with the stunning holiday lights as the backdrop. Admission to the event is just $5 per person ages three and up. Event dates include Dec. 7-9 and 14-16. For chocolate lovers in Athens, Christmas is coming a little early. The Condor Chocolates cafe has been a fan favorite, but now they’re finally opening their doors to tour their factory. On Dec. 8, see where the magic happens as you inhale the enticing aromas of their chocolate confections. Discover their bean-to-bar process and what exactly goes into crafting the perfect piece of chocolate. Even better, every tour guest will receive a tasting of their chocolates and other goodies. Tours are $15 per person and will be held once per month. Space is limited to 12 guests per tour, so reserve your spot early!